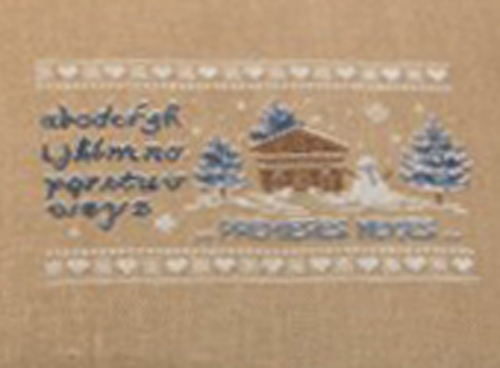 "First Snows" is a cross-stitch chart with instructions translated in English. Special stitches: This is a cross-stitch design with quite a lot of Smyrna cross-stitches and a few straight stitches (very clear drawings and instructions on the chart). This pattern shows 5 colours (DMC references on the chart). Recommended Fabric: of your choice regarding the type (linen / evenweave / Aida) and the stitch count, colour "Natural Linen" or "Light Brown", 45x35 cm (18x14 in). This product is a cross-stitch chart + instructions translated in English.